Designed to fit full-size, American-made pickups, the 325 and 425 sizes have low profiles for better rear vision. They feature fill openings offset to the side of the tank for safety and easy access. A tough circular design adds strength. 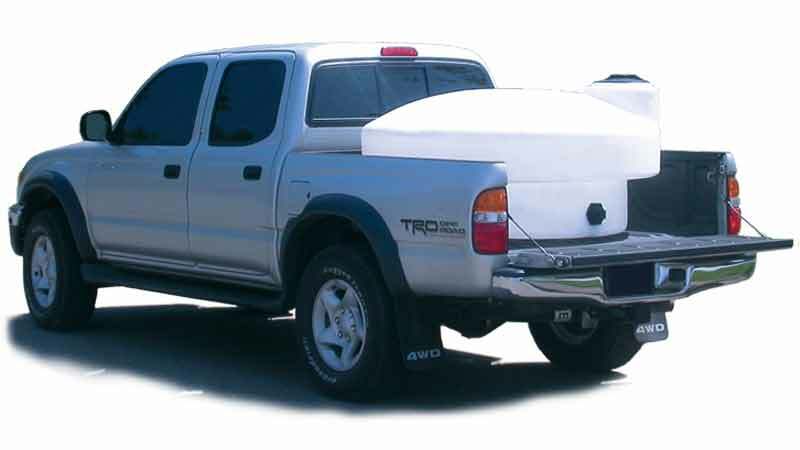 The 210 gallon tank fits both "mini" pickups and full-sized models. Depending on which way the tank is turned, the bottom width can be either 39" or 48". 210 gallon poly pickup truck tank with a 2" poly fitting and a 8" lid. 305 gallon poly pickup truck tank with a 2" poly fitting and a 8" lid. 325 gallon poly pickup truck tank with a 2" poly fitting and a 8" lid. 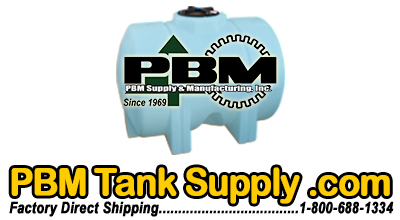 425 gallon poly pickup truck tank with a 2" poly fitting and a 8" lid.